Create a stimulating and exciting learning environment for children with this brightly coloured classroom table. Made with an aluminium frame so it is lightweight, therefore easy to lift and move, but robust enough for classroom use. 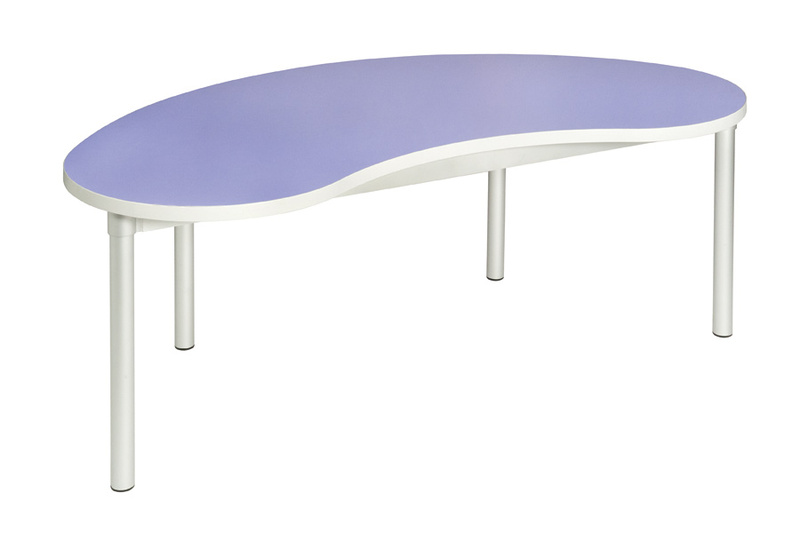 The Bean Table is a great shape which allows children to gather around one side of the table and the teacher or playgroup leader to sit at the other. This table is available in 4 heights to suit different age groups and has a wipe clean laminate top in choice of 9 colours. 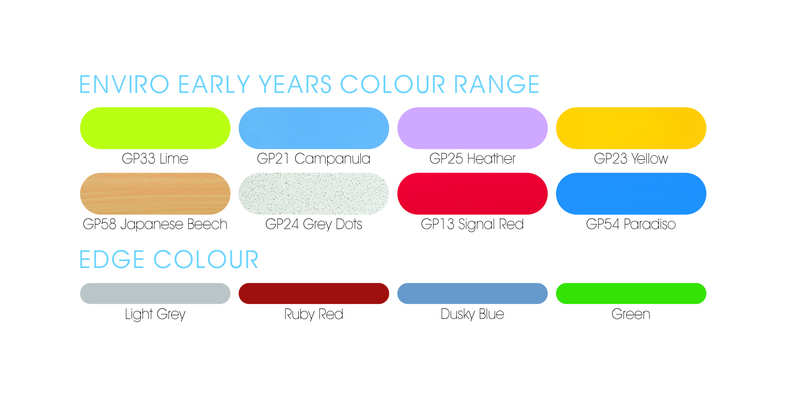 Our range of Enviro Early Years tables are perfect for playgroups, nurseries, pre-schools and schools.